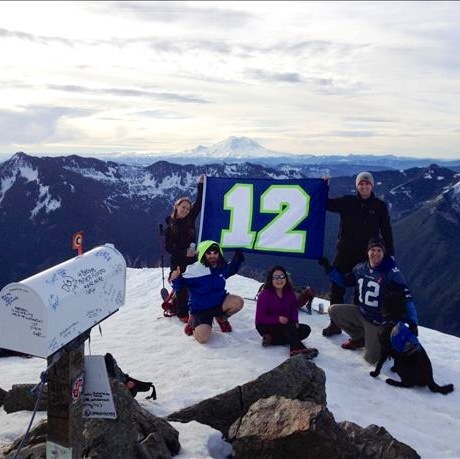 Above: Seahawks fans at the top of ‘Mailbox Peak.’ Photo taken from King 5 News. All other photos, the author. 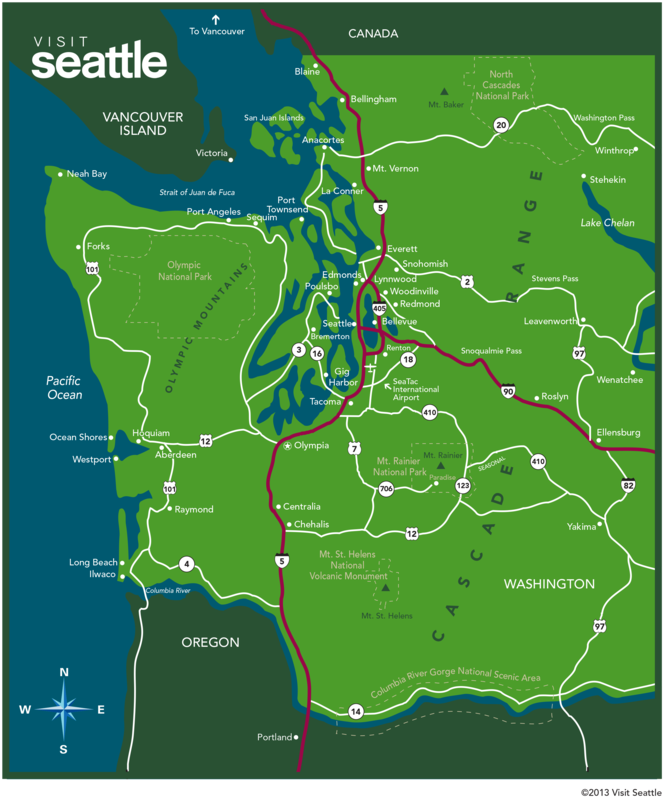 To Seattle’s West lies Puget Sound, a deep water inlet off the Pacific Coast that wraps around Seattle and surrounding cities, carving out Western Washington into the ‘mainland’ and the Olympic Peninsula. Orca whales, seals and salmon frequent Puget Sound and it’s not uncommon to see orcas dancing in front of a ferryboat (although I have yet to be so lucky). 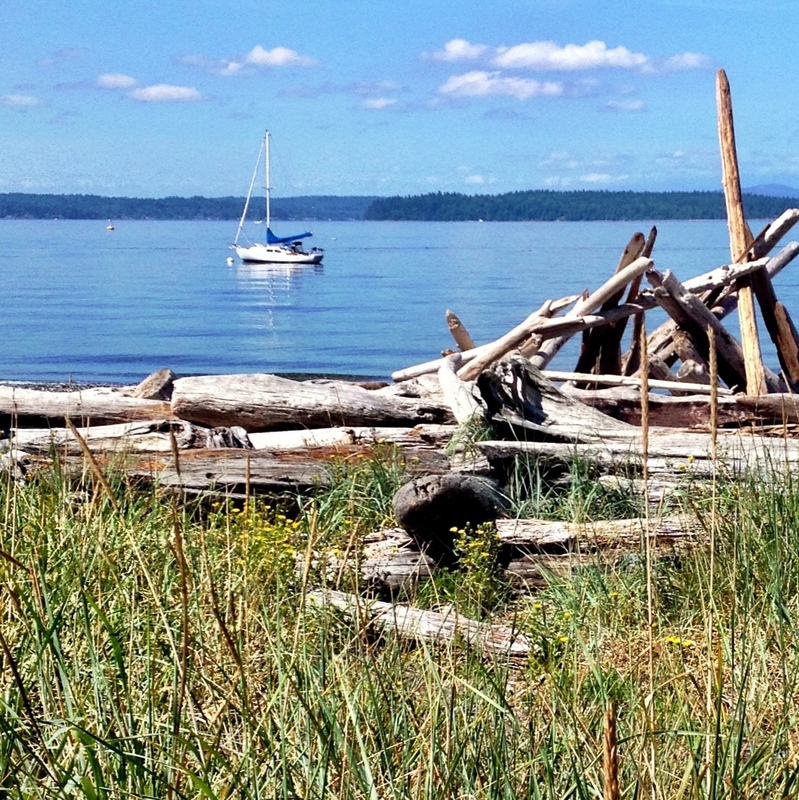 To Seattle’s East lies Lake Washington, so no fear if you prefer sweet water to salt water; we have it all. In addition to this stunning scenery, it perpetuates a natural planning corridor, impeding sprawl East and West (well, to a certain degree). Beyond the bodies of water surrounding Seattle are the mountains. To the West are the Olympic Mountains. 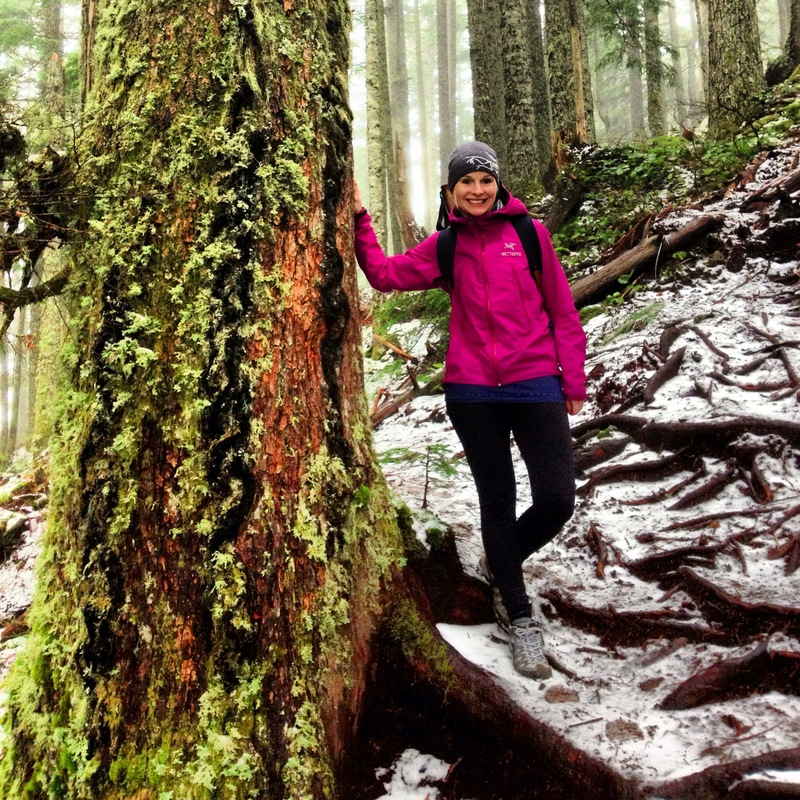 While not that high in elevation (2432 meters) their beauty is uncanny: temperate rain forests, old-growth forests, natural hot springs, steep rock cliffs and endless waterfalls. To the East are the Cascade Mountains. 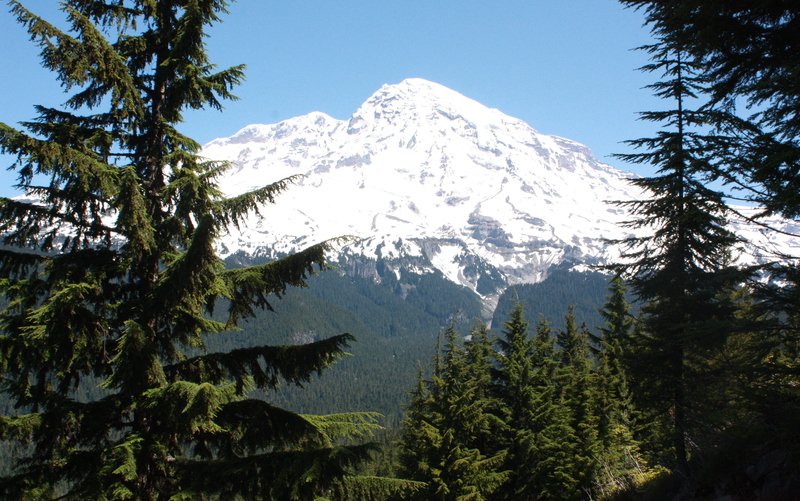 This mountain chain, home to active volcanoes like Mount Rainer and Mount St. Helens, splits the larger Washington State in half – geographically and politically. While rain lingers on the left of the state quenching its thirsty vegetation; sage brush and cowboy country are found on the right. Still, what makes Washington great is the sum of its two parts. Having lived away from Seattle for over 10 years, I enjoy going home more each time. I love hopping on the bus in West Seattle and popping downtown for an afternoon at Pike Place Market or the 5th Avenue Theatre. 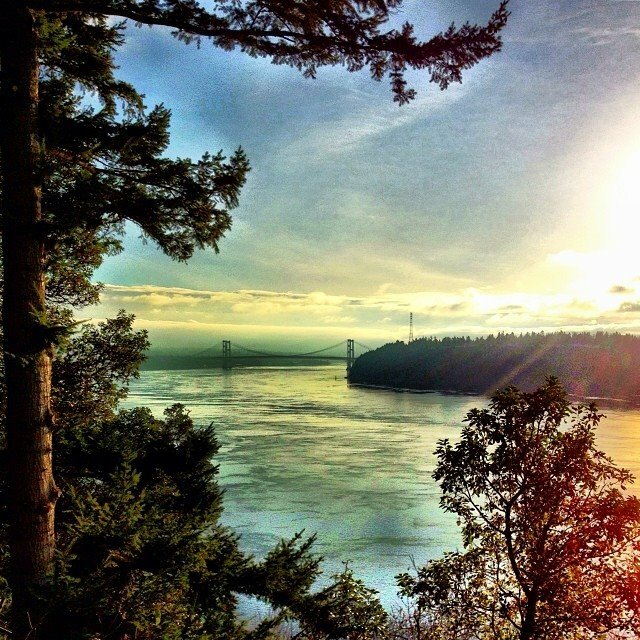 I love jogging to the old-growth forest meets beach at Lincoln Park (left), wandering Seattle’s quirky neighborhoods of Wallingford or Fremont, or catching up with friends at the latest local brew pub. In Seattle we only drink local beer. But what I love most about this cosmopolitan (and rugged) city is its nature. 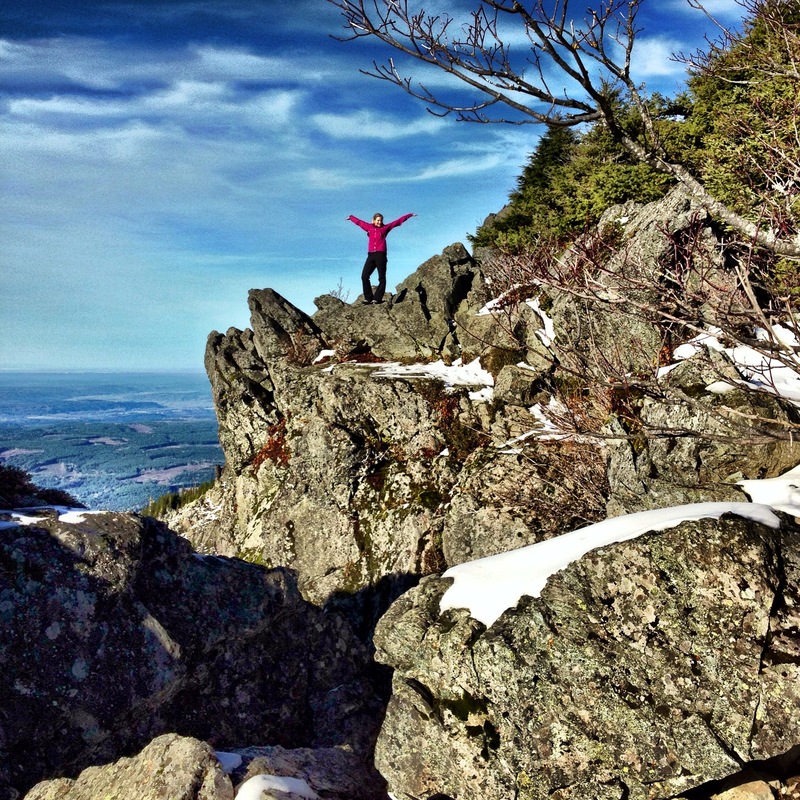 My family and friends are now well-versed in my constant whine about missing “my mountains”. But with so many nature spots and so little time, one can understand. 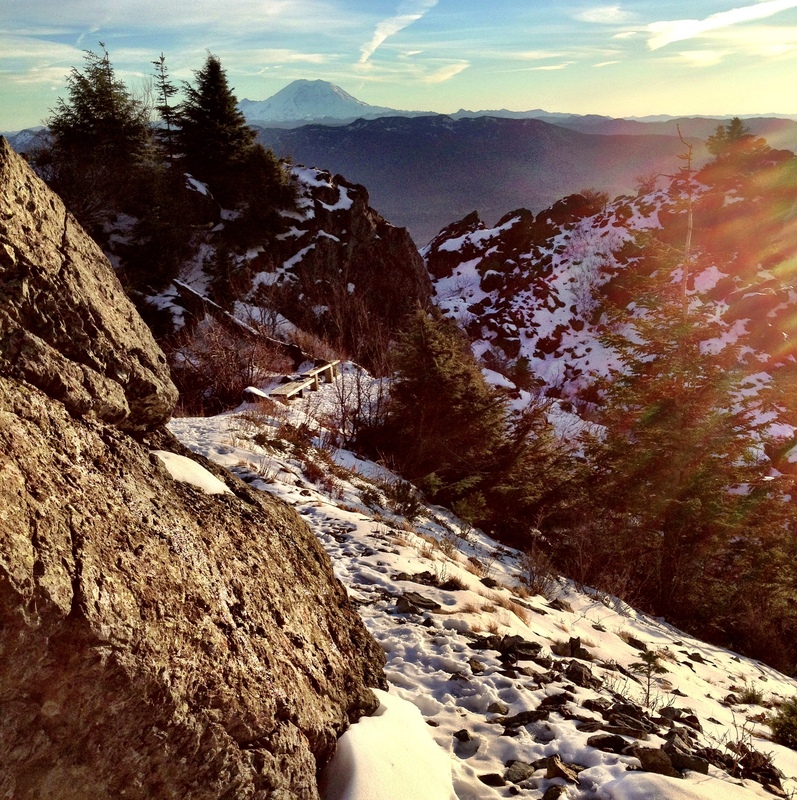 In less than 45 minutes you can escape the city and find yourself on a rugged backcountry trail. Some trails are gradual, perfect for a picnic. Others are steep, to train for larger mountain peaks. 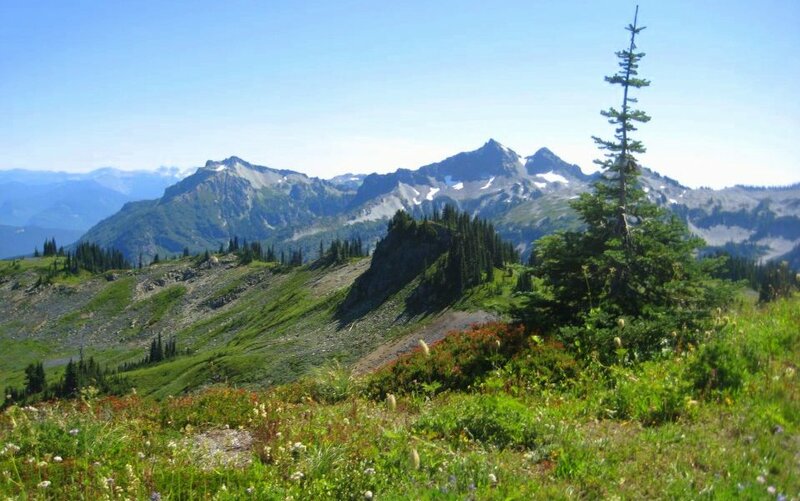 (Washington Trail Association has a great app, which I’ve downloaded to plan my next adventure home…) These mountain or coastal hideaways are magical, no matter how many times you frequent the trails. 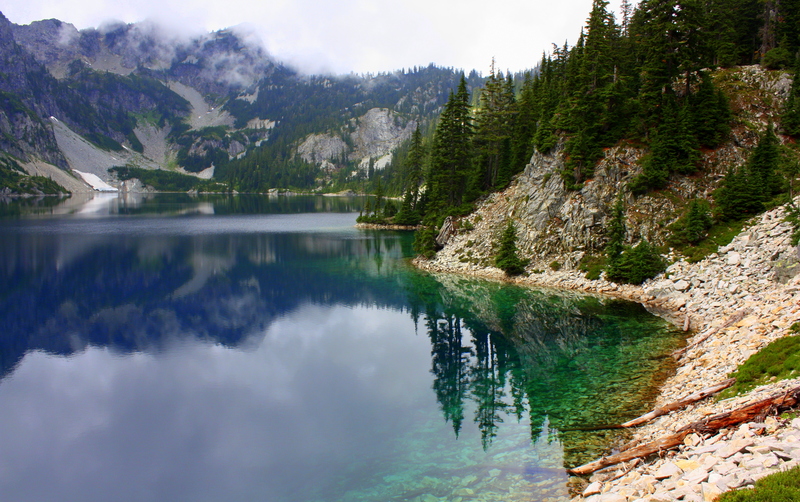 Washington has three national parks and over 100 state parks, offering hiking, skiing, climbing, camping, sailing or kayaking as close as 50 kilometers (or less) from Seattle. Interested? Check the Mountaineers. 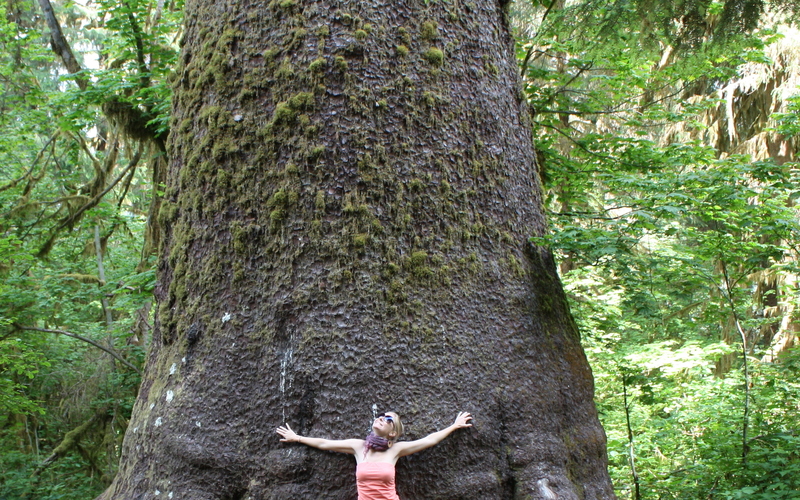 It is this love of these wild places that reaffirms my conviction to build dense, mixed-use (and sustainable) cities. Because, it is not that one simply ‘escapes’ to these wild places directly. First you have to drive (yes drive) through surrounding suburbs: low-density car-dependent communities that expand from the city to the countryside, eating up farmland and forest along the way. This is not to say I don’t understand the desire to have a free-standing house “away from it all” to raise your children. Still if we all have this desire, these beautiful places become increasingly threatened. It’s not too late though, and much nature remains. But this will require a shift in how we plan our cities and our definition of quality of life – and thankfully, this shift is underway. Currently living in an Amsterdam city flat, one may assume it is harder to feel the grass under my naked feet or escape to nature. However with my bicycle (and my same two feet) I can explore a city park, or escape to surrounding farms and forests. Equally, I can meet up with friends in a pub, catch a movie or visit a museum. Rural or urban adventures, all by bike. Granted the Dutch nature may not be as wild as my mountain trails; but for the moment I am happy (and I can cycle to the countryside in 20 minutes or less). And with a balcony I can grow my own food – a little nature fix in the city. Eventually my mountain-coastal city will call me home. Meanwhile like a sponge, I soak up as many good urban planning, cycling, energy and green space strategies as I can, from cities like Amsterdam, Budapest, Copenhagen, Malmö, Paris or Seoul, to eventually employ in my own city. 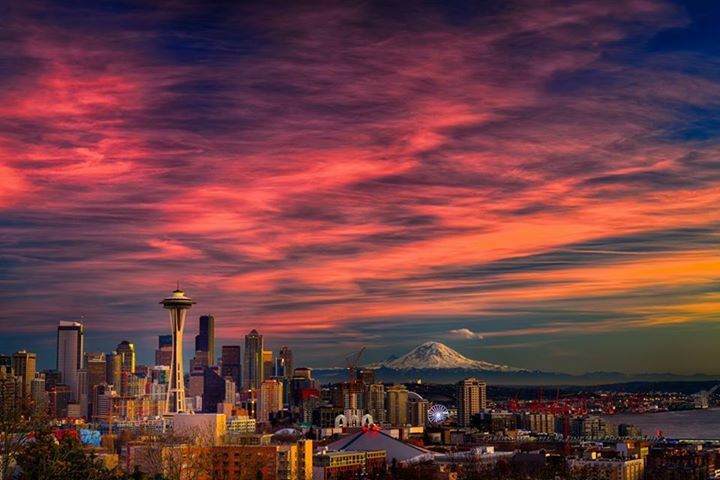 Still, I’m proud to say that Seattle excels at more than just producing football champions or musical talents. It has some of the most progressive policies in terms of waste management, renewable energy, local food policies, and climate change (mitigation and adaptation). And Seattle has a fairly good cycling and public transport network, well at least by North American standards. (It takes me wherever I want to go). Still, much work remains before Seattle can really be a ‘sustainable city.’ A big part of that will be to curb sprawl and ensure that its natural areas remain in tact. Perhaps with motivation of the recent Superbowl win, a new zest will emerge to protect the habitat of the Seahawk – the native Osprey – and other beautiful creatures and their mountain/ coastal habitats with increased due diligence. Perhaps… After all, the Seahawks are already sustainability champions in their own right. Go Hawks! 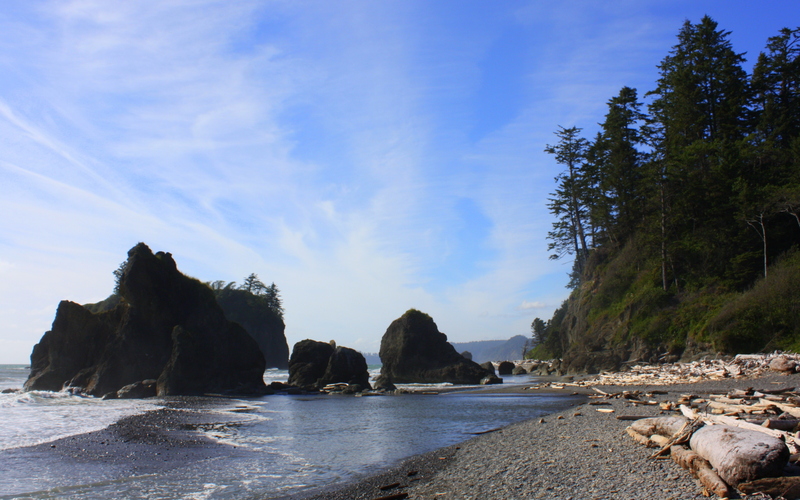 Washington Pacific Coast – this one a bit of a drive from Seattle, but well worth it to experience the coastal scenery. 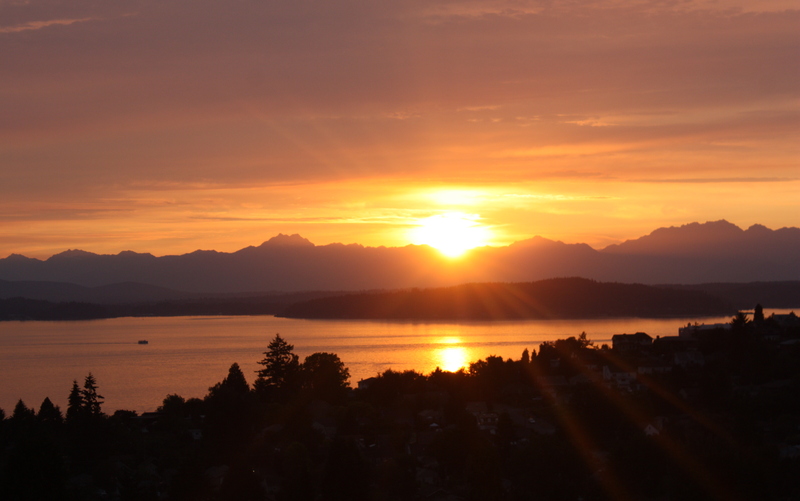 Bliss: sitting on the balcony at my parents’ flat in West Seattle, staring off at the Olympics and Puget Sound on a warm summer’s night. The bus to downtown Seattle goes from across the street. Within 10 minutes one can walk to the beach or to the local neighborhood pub/ restaurant. Good city life, nature in proximity? Most definitely.